Product Overview – What is “Swag Bucks”? “Swag Bucks” is the virtual currency you can earn by using various services that Swagbucks.com provides. It may be easy to understand if you imagine a reward program with a credit card or airline company. The more you fly, the more mileage (rewards) you earn. The more you use a credit card, the more points you earn, right? That’s exactly how Swagbucks.com works. The more services you use on the Swagbucks homepage, the more rewards (Swag Bucks) you earn. One Swag Buck (1 SB) is roughly 1 cent. Then you can turn these rewards into real prizes such as gift cards or cash via PayPal. You can earn “Swag Bucks” (rewards) for things you are already doing, such as online search or shopping. You can redeem Swag Bucks in several ways, such as gift cards or cash via PayPal. Very slow to build up Swag Bucks you can cash out. You don’t earn Swag Bucks for every search you do. The value of Swag Bucks fluctuates depending on the prize you redeem. Swagbucks is for everyone who wants to make a little extra money on the side. If you are already doing things such as online shopping, watching videos, playing games or just searching for information, why not earn rewards for things you are currently doing for free anyway, right? So, if you value any little stream of income coming in, even if it’s $10-$20/month, and think it’s better than none at all, then Swagbucks is the right place for you. Who is Swagbucks NOT For? Swagbucks is not for those who wish to make a living online. There is no way that you would make a full-time income with Swagbucks, no matter how long you stay with the program. It is not an online opportunity to replace your 9-5 job, nor is it a program that would educate you on how to obtain financial freedom. Join Swagbucks today, and five years from now you’ll be still spending the same amount of time, hours and hours just to make a few bucks. In short, there is no growth in it. Money-wise or skill-wise, you won’t gain much from it, and if you think that’s a waste of time (like I do), then Swagbucks is not for you. All they ask is to provide your email address and password. Registration itself earns you 11 SB (Swag Bucks) as follows. These are the services you can use and earn your rewards at Swagbucks.com. If you want cash via PayPal, 1000 SB will earn you $10. Just bear in mind that the value of Swag Bucks could vary depending on the prize you redeem. I have tried several services just to see how many SB I can earn, and I must say not all the services is worth spending your time even for free prizes. First off, watching video is a very time-consuming and tiring process. It even doesn’t pay you much. You normally have to watch 10 videos just to earn 1 or 2 SB, and the system requires you to stay at least 35 seconds on one video before you move to the next. 35 sec X 10 = 350 sec = 5 min 50 sec. Ok, so you spend almost 6 minutes and what you earn is only 2 SB? It is ridiculous. If I am to watch ONE video of MY CHOICE for 6 consecutive minutes and earn 2 SB, then I can understand. I would easily spend an hour watching a video of cute puppies like the one below, so why not watch it at Swagbucks instead of YouTube if I get something out of doing so, right? But having to go through 10 different videos, which I don’t even get to choose, is nothing but pain and not at all worth 2 SB (2 cents) only. Online shopping could be worth trying as they have many major online stores in the system. Amazon is one of them. So, if you already shop at Amazon, why not do so through Swagbucks.com so that you automatically earn SB for each dollar you spend. The best option, in my opinion, to receive SB on Swagbucks.com is to perform online searches on their search engine feature. Unlike shopping, this is something that we do almost every single day. Besides, you don’t have to spend money to earn SB like buying things online. However, take note that you don’t get SB rewards for every search you perform. The system does not give it to you consistently. This is what many users complain about this program. They say Swagbucks typically gives you rewards for online searches three different times per day. I have performed ten searches thus far during the past three days, and received SB only three times; the first for 20 SB, the second for 5 SB, and the third for 8 SB. The amount of SB they reward for your online search varies as well. I know this could be frustrating. However, it’s something that you would do for free anyway, so it won’t hurt to try a few searches at Swagbucks instead of Google. You never know, the reward points may add up quicker than you anticipated. Absolutely NOT. Swagbucks is not a scam. It is a legitimate program that lets you earn small income online without any special skills. It’s easy, simple, and best of all 100% free to use. No investment required on your side, except for your time. Unlike tons of online scams out there, Swagbucks is one of the honest, reliable, and yet free programs that you can trust to make a few extra bucks on the side. That being said, I wouldn’t recommend Swagbucks to many for their primary source of online income, unless you have tons of time to spare. Earning rewards at Swagbucks is such a slow process, and payouts are too small. Since I joined Swagbucks, I must have spent about an hour using their services here and there. I managed to gather 54 SB in total. Many reviewers said earning 20 to 50 SB at Swagbucks.com per day would be realistic. Let’s say daily earning averages 50 SB for you. How much would you end up making a month? It’s only 1500 SB ($15). Sure, extra $15 to our monthly income would be nice, but if I have to spend an hour every single day just to earn $15/month, I will invest my time (because I don’t have much of it) for something more fruitful for my financial future. To me, what I earn from Swagbucks.com is better than nothing but that’s about it. Thankfully, they do not claim to make you rich or a millionaire, so as long as you keep a realistic expectation of this program, Swagbucks could be perfectly nifty for you. I recommend you to devote your time and energy to what help you build your financial freedom. Check out my #1 Recommendation and see how it’s different from Swagbucks. If you are a member of Swagbucks.com currently and have had a positive or negative experiences, please share with us your feedback below. I would love to hear what you’ve thought of this particular program. Thank you! 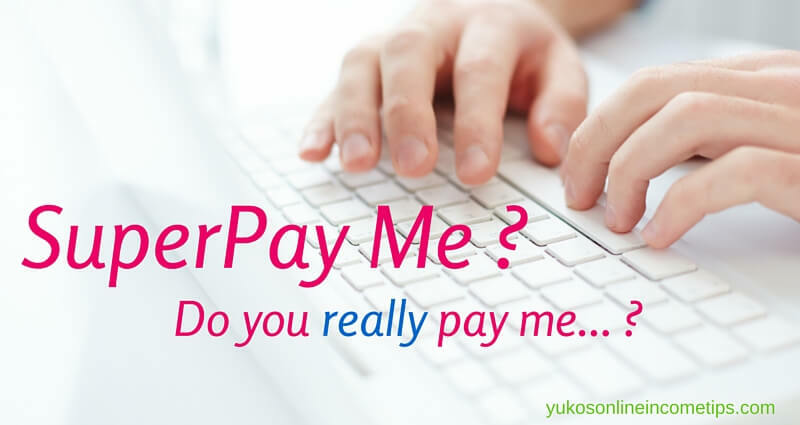 What Is SuperPay Me? – A GPT Scam? 18 Comments on "What is Swag Bucks? 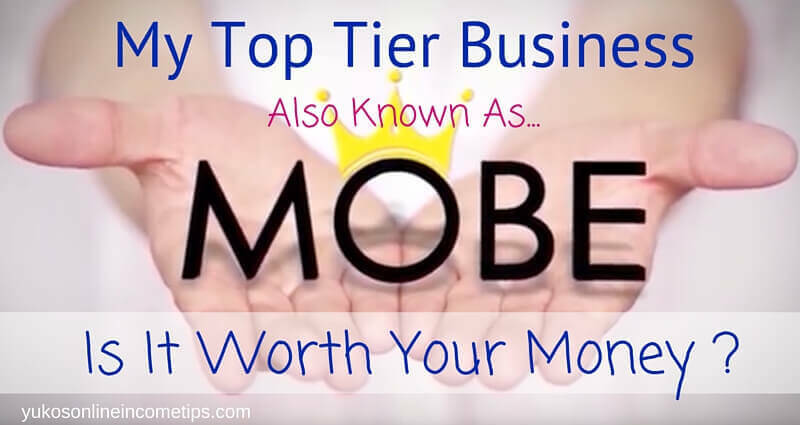 – Not Much “Swag” For Your Time"
Wealthy affiliate is by far a better program. Thanks for shading more light. I like your straightforward review of Swagbucks, ‘not much swag to it at all’ as you rightly wrote. You have analysed the system so well. I did get involved for a short while long time ago and quickly realised that my time can be spent better elsewhere. But as you said it is better than nothing as long as no one expects it to replace their 9-5 job. If you rely on it for searches because of the bucks, you will consistently be getting poor search results, it is not worth it then since that is what we do most online. Welldone and keep it up. Thank you for sharing your experience. I also came across a fellow online entrepreneur who was also involved in Swagbucks a few years ago. He said it used to be easy to earn $5 Amazon Gift Card a month back then, but it’s not the case anymore. Somewhat earning rewards has become even more slow and now it may take a year to earn the gift card. If this is true, Swagbucks is not worth our time whatsoever. I’ll keep using it for a while and report back. I totally agree with you that our time can be spent better than watching videos or playing games just to earn a few bucks. I view time as an investment. We should spend it wisely to benefit our future. Thanks for commenting and I wish you the very best in your online endeavor! Excellent review of Swag Bucks and I must say, an absolutely stunning website! It was particularly good to see you analyze it from all angles. No, it won’t make you an income full time, no it won’t make you rich but hey, it’ll funnel in a little bit of cash passively on the side. At the same time…the work effort VS payoff equation is really poor so you spend way too much time earning “credit” and the cashing of it is very low AND takes too long. 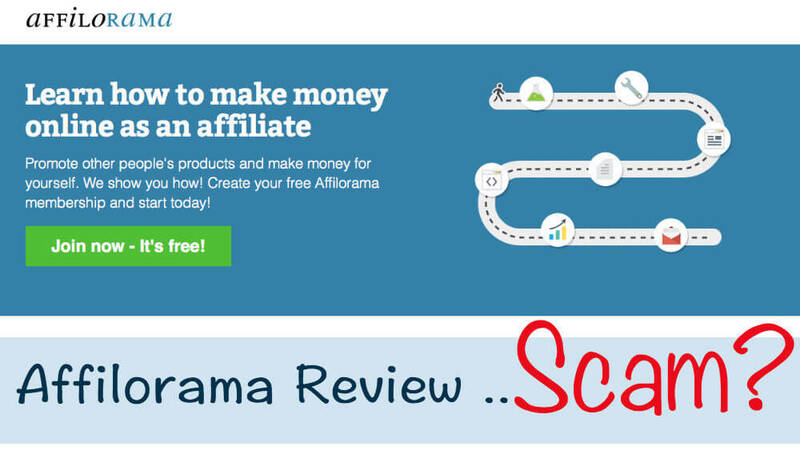 Once again, thanks for this comprehensive review and an even better alternative in Wealthy Affiliate. 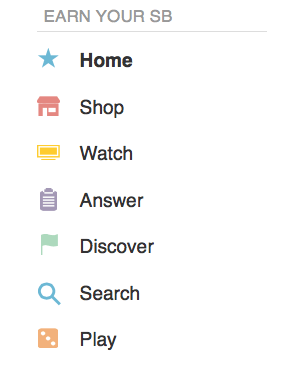 By the way, what theme are you using? Before trying Swagbucks, I was a little excited you know, as I have read many good reviews online. But after trying that for myself, Nope, it was not worth my time. If I were a full-time housewife who doesn’t need to work and has hours and hours if free time to myself every single day, maybe this could a bit fun. But that’s not the case for me! Thanks for stopping by and commenting, SamDal. Happy 2016! I have tried swagbucks in the past and I completely agree with you! It takes hours and hours of your time to earn just a few dollars. Most of that time is spent watching videos you don’t even want to watch. It is not worth my time. I found Wealthy Affiliate and that changed my life. I now have my own website where I am in control of how much I make and I can make a living off of doing something I like! It is a life changing experience and the first week of the training was absolutely free! It seems that everybody who has tried Swagbucks in the past comes to the same conclusion that it’s not worth their time. I understand that initially, Swagbucks looks easy and simple to make extra bucks without any special skills on our side. On the other hand, building your own website and learn how to make money off of it feels daunting and almost scary to newbies. I used to feel that way as well! Thanks for sharing your thoughts and experience. Best of luck to you in 2016! Nice review that has been written in a nice easy to read manner and covers everything I needed to know about the offering. Your presentation is relaxed and concise which is nice when you are trying to get the route of the issue. Basically, you have given me all the information I needed to really confirm my thoughts on the program. I have to agree with you, it’s all above board but it’s never going to make anyone a living online. Although I guess it’s just good fun for those who like to shop and save some cash and don’t mind spending time getting their discounts. Last word….nice review, very helpful. I’m glad this review of Swagbucks helped you to see what the program is all about. Truthfully, the only features that might be worth your time are the search engine and online shopping site. Yes, this can be a fun way to make extra money for young teens or students, but can never be a real source of income. Thank you for stopping by Carl. Wish you a wonderful and prosperous 2016! A very interesting read regarding Swagbucks which I have been interested in finding out about. I thank you for saving me loads of time as the rewards look to be a pittance i.e. I want an online business that pays my bills and makes me relatively comfortable in life but I wonder if it’s ever possible. I have found a similar scenario with many online surveys out there, legitimate but so poorly paid. Thanks again for this helpful article. Online surveys are definitely not the best way to earn income online. The payouts are too little for the time you invest. Having said that, Swagbucks actually is one of the easiest sites to earn pocket money without taking surveys. I actually have an updated version of the review. I’ve learned that we can easily earn $10-$20 a month without doing anything special at Swagbucks, but again, this is no place you can make a full-time income. If you are serious about making real money online, please consider starting your own website. I have a walkthrough as to how to do that from scratch, so check it out. I hope it helps you build a successful website that generates income for years to come. Oh swagbucks is pretty cool – when I first came on the internet to earn ( several years ago! ) certain sites like swagbucks were my first port of call. 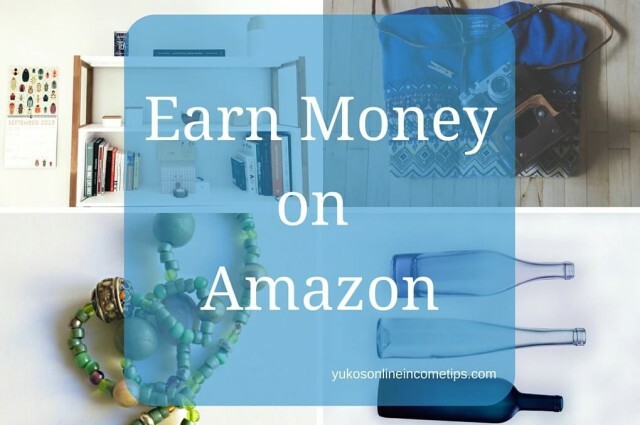 Sure you don’t earn much but you do earn legit cash – there are not many sites out there that allow you to do that? How long have you been a member there and what do you do there to earn? A month after I wrote this review, I came to the same conclusion as you. I too think Swagbucks is a place where you can earn legit money on the internet, without necessarily providing your personal information on surveys. Here is an updated version of Swagbucks review. I’ve been with Swagbucks for 5 months and am still getting one or two Amazon gift cards a month by doing online searches, getting SwagCode and from referrals. Thanks for commenting. Have a good day! Very detailed review. My experience with SwagBucks mirrors the consensus; it’s just not worth it. I really can’t justify hours of repetitive clicking for a few cents. The rate is just. so. low. I can’t fault them, since it’s it’s just clicking, but it still amounts to nothing. I’ve tried the surveys, which are the best source for points, and I can never qualify. The time spent trying to earn a meager dollar in SB could be invested in almost anything else, and it would pay off more in the long run. Again, great post Yuko! Thank you for sharing your experience! I am still a member of Swagbucks and have been earning a small amount of money here and there. I am only using it for daily poll and online searches now. Just like you, I hardly got qualified for surveys and it is just waste of time. Although I would still earn Amazon gift cards every month but that’s about it. There definitely are more efficient ways to earn in come online. Affiliate marketing is a way to go if you are a beginner. If you already have some experience, you can even create your own online products. In fact, I am currently creating my own products and I’ll share the process with my viewers on this site too! Yuko, you would think SB would up their payout rate to attract more customers. It’s not often you find a legit program like this and then you’re turned off by the low payout. It also sound like they have a huge opportunity cost, which means what else could you have been doing while you were on SG earning pennies. Thanks for the review and the warning. I’ll check back on these guys down the road. Thanks for the comment. SB is not a scam site but the earning you can make is still very small. I would rather recommend new comers to this online industry to spend the energy and time to build their own business. They won’t make earning right away, but down the road the payout will be way bigger than earning pennies on a site like SB. I know this from my own experience.